If you would like to know how much your currency is worth in Thai baht, you can use this handy currency converter at the bottom of the page. 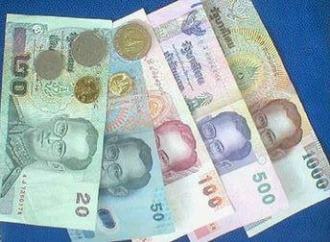 Thai Currency is made up of the Baht and is divided into 100 Satang. Make sure you read on and print out the exchange cheat sheet a handy piece of paper to have before going shopping in Phuket. The choices we all have today are so much better then when we had to use travellers cheques and cash. These day's we have the availability of debit and credit card facilities just about everywhere we go, the choice is up to you. Debit Cards is one of the most common ways that most of us gain access to our money when overseas. It’s fast, easy and nearly always accessible through ATM machines or eftpos transactions. The only downside to using this facility are the fee’s and charges that your provider charges you for accessing your own money. We suggest to always take out a lump sum and keep it safe, that way you keep your transaction fee’s down. Just about everyone has a credit card and you will find credit cards will be widely accepted in the tourist areas. If you choose to pay for everything on credit just beware and always keep your credit card in sight. With today’s technology it doesn’t take much for your details to be copied or scanned. With credit card fraud on the rise we always suggest to only use your credit card in secure locations. Personally we don't use our credit card unless it is absolutely necessary. 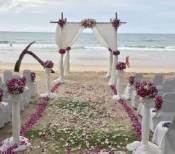 You will also find the exchange rate from the Thai currency and extra fee's will cost you more. Carrying cash comes down to your choice, it has always worked well for us. Just make sure that you keep your cash in a secure location when traveling and in the hotels security safes when your out exploring. When exchanging our money for Thai currency we would often check out 2 or 3 exchange booth’s, as you will find they all offer different exchange rates, so shop around to find the best rates. Before you head off shopping make sure you print off a copy of our Thailand Currency Cheat Sheet. The cheat sheet is easy to use and makes shopping much more fun. Phuket has definitely moved with the times, from when you had only the hotel currency exchange counter or a couple of small banks and a hand full of currency exchange booths in Patong to exchange your money or to change travellers cheques into Thailand Currency. 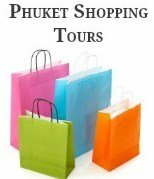 Today accessing your funds has never been easier, there is currency exchange outlets all over the Island, you will find the majority in the main tourist area’s and Phuket Town. Banking hours usually start from 08:30 am to 3:30 pm from Monday - Friday. Some small branches are located in the shopping malls and are open from 08:30 am to 7:00 pm, seven days a week. Most major banks have branches in Phuket City and Patong, as well as a few sub-branches dotted around the island. You will find ATM’s in all your shopping areas and at most 7 Eleven stores. Nearly all currency exchange booths will offer an ATM service. Personally if we are going to use an ATM we usually go into one of the many banks in the major shopping centers and withdraw a lump sum of Thai currency to avoid all those dreaded bank fees. We find the exchange rates in the hotels and at the airport are not as good as the Exchange Booths or local banks. To help you get an idea what your holiday will cost you we have added a currency converter below. The currency converter uses live data for comparing today's exchange rate. Just add the price as you found it in Thailand Currency, and find and select your own currency in the second box. Then click the button "Click here to perform a Currency Conversion". Of course you can perform the conversion the other way. Select your currency in the first box, and the Thailand currency in the second.